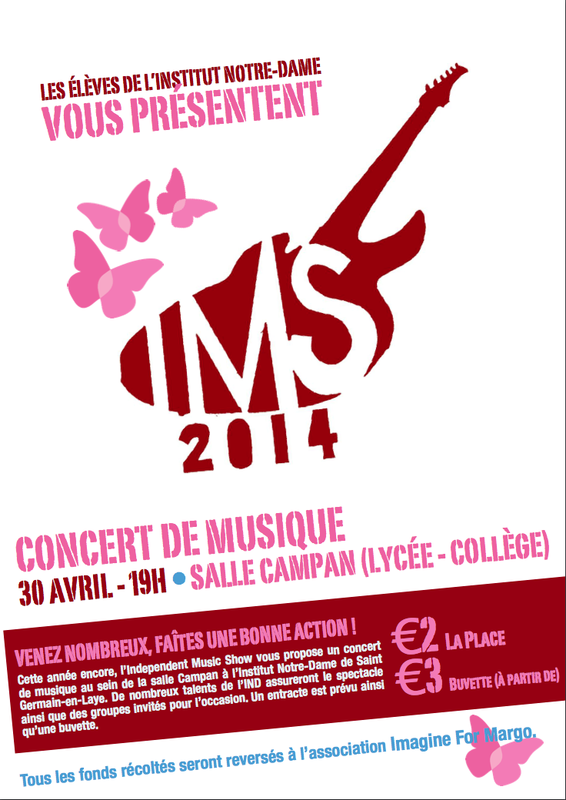 The students of the Institut Notre Dame at Saint Germain-en-laye are mobilising for Imagine for Margo by organising a music concert on 30 April, 2014, at 19:00, in the Campan room of the school. The talented students of IND as well as other bands will be there for you to meet. All the funds gathered on this occasion will be donated to Imagine for Margo. A big THANK YOU to the students and the management of the Institut Notre Dame, for their faithful support.